Tony Selak, Colin Madden, Max Shifman, Ghadir Razuki and Renato Pellicano are thrilled to be involved with the Team 11 bid. As the bid to bring an A-League and W-League club to the south-east of Victoria continues to take shape, Team 11 Pty Ltd has unveiled more of the shareholders who have combined to turn this football dream into a reality. 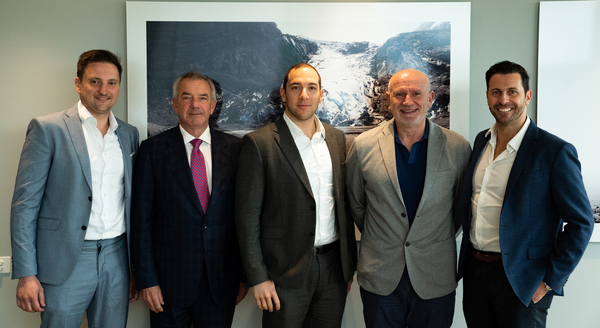 Joining major shareholder Gerry Ryan and Team 11’s interim chairman Ghadir Razuki as investors are prominent south east businesses, including RMBL Investments, Intrapac Property and Pellicano Group. Also in the mix is a group of young and passionate local business owners and professionals – many from the local football scene – who have established a consortium to invest into Team 11. The group largely consists of business owners and professionals who have grown up in the region and played competitively in FFV state leagues. They are excited by the prospect of an A-League club growing the game for the younger generation in the south east, with many of their kids playing for local clubs in the region. The group is headed by Tony Selak and Peter Vlachos, who both played junior football locally, and has representation on Team 11’s board through Dandenong-born Selak. This group is uniquely positioned to give guidance on grassroots matters, including but not limited to match day experience, interaction with families and local football clubs. The businesses and businessmen which have come together include: Selak (Ace Body Corporate Management); Vlachos (finance professional); Gavin Hately, Ivan Sember (Elite Shopfitting Australia); Alan Macinkovic, Ivica Klarica (Purple Hills Painting); Blazincic family (Olinda Spring Water); Simon Cai (C Loans); Steven Muretic, Tomi Muretic (Murtec Group Engineering Services); Charlie Hong (Titan Packaging); Christian Bonadio (talent and performance professional) and Carlo Salanitri (Sooshi Mango). Member of the local consortium, Peter Vlachos spoke of his excitement at the prospect of having an A-League and W-League team practically right on his back door. “I grew up in the south-east and played football from a young age,” he said. “I spent most of my playing days at Bentleigh Greens, but I also played at Chelsea, Clayton Inter and Sandringham. To be involved with something like Team 11 excites me greatly. “Having travelled around Europe and seen the youth and development programs available in those countries, I’ve realised that we need to create greater opportunities and better pathways here in Australia. This club, if given a licence, is our chance to grow grassroots football and create a better future for the talented kids in south-east Victoria.